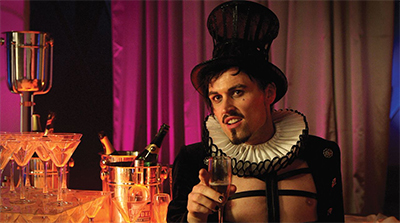 Paul Amos is an actor from Wales, UK. After leaving LAMDA he went to work with several prestigious theatre companies including the Royal Shakespeare Company and the National Theatre. On arriving in Canada Paul spent a couple of years with the Stratford Festival Of Canada, since then he has developed an impressive resume of TV credits. Having worked on several projects including Combat Hospital, Warehouse 13, Degrassi goes to Hollywood, Mudpit, She's the Mayor, Casualty (BBC), and two indie features Nexus and Long Gone Day. Amos is best known for his recurring characters Dr. Roberts in the Murdoch Mysteries and Vex in the Showcase/Syfy hit Lost Girl.